Laurie performed last weekend in play Birth by Karen Brody and directed by Aimée Miles. It was a performance for the Birth Fest 2008 in San Francisco. Birth Fest is an event created to support midwifery and natural birth. 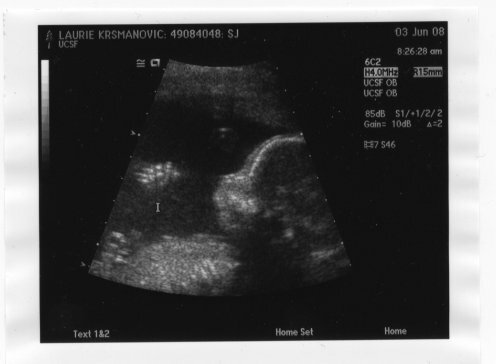 Laurie got an additional applause after showing her belly ! LunchBox Lab is a cool project by Futurefarmers that is going to be in NYMOMA in February. I helped write the code for Arduino board that is used to run those LED dots. Photos from our trip to Serbia in August 2007. I finally put online photos from our trip to Philippines in May. 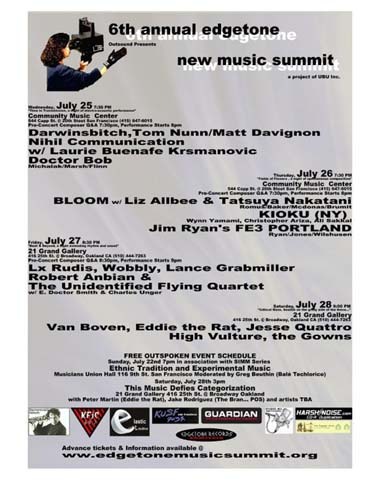 My wife Laurie is performing this Wednesday, July 25th at Edgetone New Music Summit experimental music festival here in San Francisco. She will be performing in the music piece by Andre Custodio.